A well-structured lease will ensure that all parties have a clear understanding of their respective rights and obligations. The firm has handled a broad range of leasing and leasing-related matters in the office, retail, and industrial areas while representing both landlords and tenants. 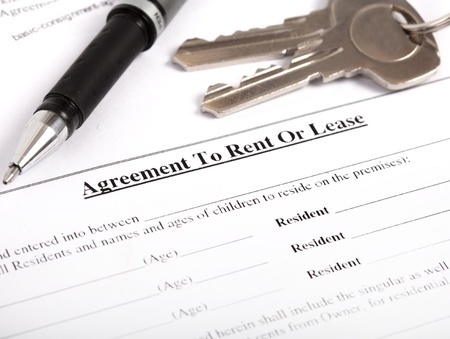 We represent both landlords and tenants and have represented numerous landlords during lease negotiations with some of the largest "big box" tenants in the country. We have worked in collaboration with companies such as Friendly's and Dollar General, and have assisted innovative organizations such as Makeshift Society expand their footprint in New York City. We will leverage our experience on both sides of the negotiating table to quickly identify, evaluate, and mitigate potential risks and recommend solutions before they become problems. We represent a broad spectrum of retailers, from small business owners operating in one location to chain store tenants with multiple locations in shopping centers, mixed-use properties, as well as enclosed malls. A prospective tenant ready to sign a lease is often taken aback when the landlord delivers a proposed lease that is two-inches thick and filled with legal jargon. While it may be an issue that the common commercial tenant may gloss over, those pages are fraught with provisions that cause default mechanisms for events you may be completely unaware. We have experience representing landlords and have negotiated leases with tenants operating restaurants, auto-body shops, distribution centers, retail stores and national chains. Landlords, unlike tenants, must take a narrower view of the future and ensure a reliable incoming cash flow, coupled with a predictable level of expenses. A landlord wants reliability, predictability, and no surprises. Therefore, a landlord may need to consider almost every issue that can possibly arise over a longer period of time regarding a single piece of real estate.